Promotional Products & Marketing Blog » Promotional Gifts » What Happens To Promo Products That Are Misprinted? What Happens To Promo Products That Are Misprinted? Sometimes, promo products don’t turn out the way they should. It could be a smeared imprint, incorrect color, or just simple human error, such as Notre Dame’s misprinted stadium cups. When things go awry with promo items, marketers can’t use them. So what happens to them? Typically, they’re donated, kept for internal use, sold at flea markets, or used as random samples. And sometimes, if the customer requests it, they’re flat-out destroyed. But all misprinted promos aren’t deemed unusable or kept hidden away lest anyone see the error. Sometimes, they can meet a very happy fate – they can brighten the holidays for children in need. Aubrey, the 5-year-old daughter of ePromos’ Hope Binegar, collected items for other children instead of receiving birthday gifts. Hope Binegar, ePromos’ Senior Merchandising Manager – Vendor Relations, recently spearheaded a project to do just that. Or rather, her daughter, Aubrey, did. Five-year-old Aubrey decided to forgo presents for her birthday last week. Instead, she asked friends and family to donate items for Operation Christmas Child, the world’s largest Christmas project of its kind. 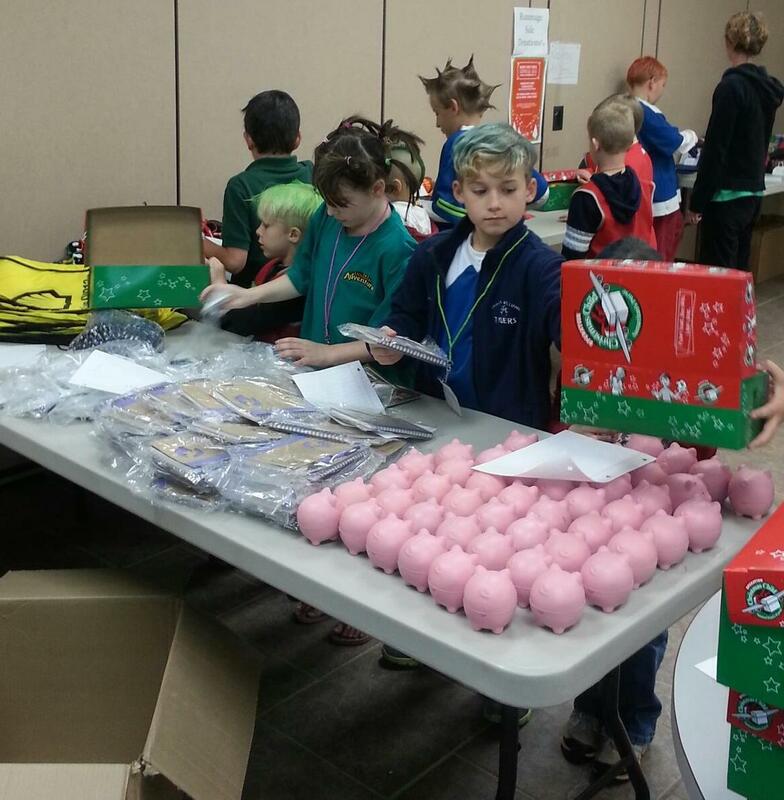 Organized by Samaritan’s Purse, a non-denominational Christian relief organization, Operation Christmas Child sends gift-filled shoeboxes to children in need around the world. The organization, which began its National Collection Week on Monday, hopes to collect 9.8 million shoeboxes this year. 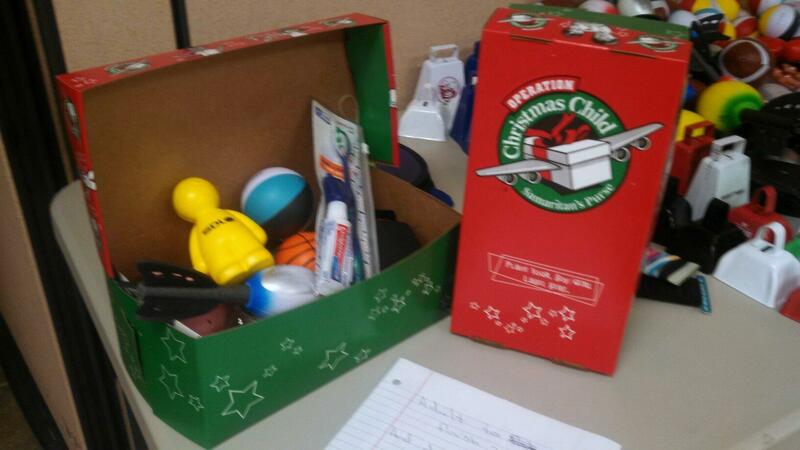 Binegar received enough promo products to fill 50 shoeboxes. Binegar, in conversation with two of ePromos’ suppliers, Prime and Hit Promotional Products, mentioned her daughter’s mission to collect items to fill the shoeboxes. A colorful assortment of misprinted promo items went into each shoebox. Binegar received a plethora of promo products: journals, pens, rulers, balls, drawstring backpacks, light-up yo-yo’s, toothbrushes, crayons, candy and toys galore. It took a team of volunteers to get all the promos packed up. 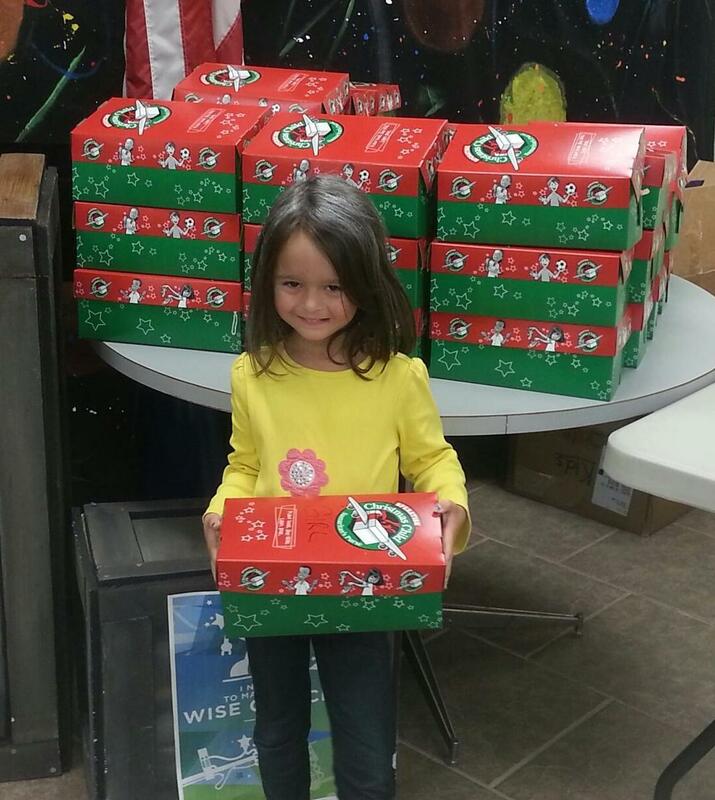 Binegar and her team of helpers transported the packed shoeboxes to a central collection point near her church in Mobile, Alabama. Aubrey collected enough funds to cover shipping costs (about $350 to ship 50 boxes). Binegar says Aubrey sets aside 10% of her allowance to giving throughout the year, and she also put her birthday money toward Operation Christmas Child. Last year, Aubrey collected enough items to fill 10 boxes along with $70 in funds to ship them. As a parent, Binegar says it’s rewarding to see her child eager to help. And as a promotional products professional, it’s great to know that misprinted promo products will bring a smile to children on the other side of the world. “It’s fulfilling to see the items go to someone who needs them instead of being sold for pennies or being destroyed,” she says.